The intense scar tissue forms a protective wall around the cancer, hampering treatments including chemotherapy, immunotherapy or radiotherapy. This contributes to it being a particularly aggressive disease, with the lowest survival rate of all cancers – fewer than five per cent of patients survive for five years or more. 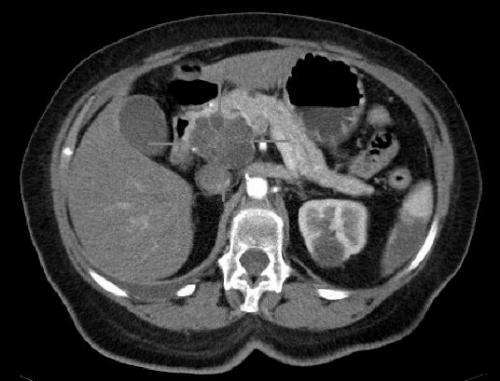 Co-lead researcher Dr. Anguraj Sadanandam, Team Leader inSystems and Precision Cancer Medicine at the Institute of Cancer Research, London, said: “We used complex computational analysis to look at the dense scar tissue that makes pancreatic cancer so difficult to treat. “Identifying the four types of scar tissue in our new study will help us better understand how scar tissue and tumour cells interact in pancreatic cancer, and offers new insights into how to tackle this devastating disease. There are early indications that one of the four types of scar tissue may be particularly attractive to immune cells – the cells that fight infections – so future work may look into whether patients with this scar tissue type could potentially from benefit from immunotherapy.